Publisher Focus Home Interactive revealed that its agriculture-'em-up Farming Simulator 15 will hit the Xbox One and PlayStation 4 in May with a console-first series of co-operative gameplay features. "Farming Simulator 15 [...] offers for the first time a multiplayer mode on consoles (PlayStation 4 and Xbox One)!" the publisher notes. "Invite your friends to join in your game: increase your productivity by sharing tasks or cooperating on bigger missions, and develop your farm faster!" Released late last year, the PC version of Farming Simulator 15 offered co-op gameplay for up to 16 players either online or via LAN play. Farming Simulator 15 will also launch for the Xbox 360 and PlayStation 3 in May, though these ports will lack a co-op mode. 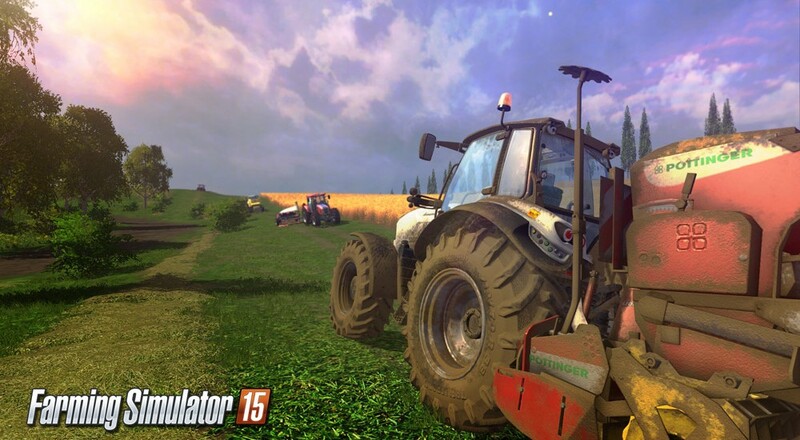 Farming Simulator 15 premieres for the Xbox One, Xbox 360, PlayStation 4, and PS3 on May 19.